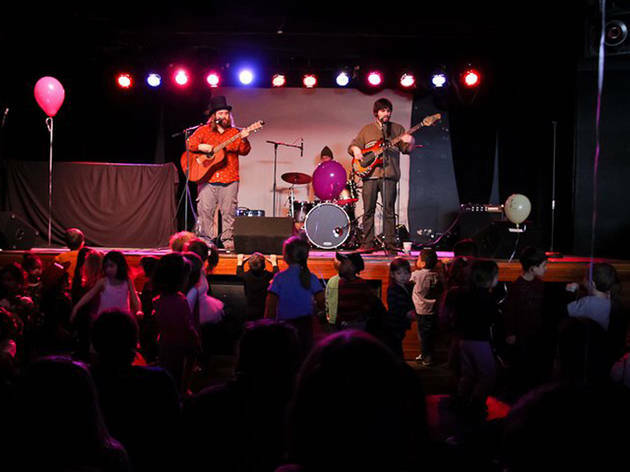 Catch a show packed with music and dancing from this kiddie jam band, whose songs pay homage to everything from hummus to acai berries. They'll play everything from holiday classics to hits from their new album Houses of Moly, a compilation of covers of traditional kid tunes. Before the show, kids can romp through the play space ($15 for an hour)—including the two-story tree house's fiber-optic-star cave—or splash around in the multitiered water table. All ages.